An executive summary or management summary is an essential part in any consolidated document. It is commonly the first section found in any business plan, reports, proposals, etc., and it is considered as the most important part of such documents. It is basically designed to intrigue or ignite the reader’s curiosity to read further. It contains relevant information about what is being discussed in the document so that the reader will want to dig in and read all the specifics within the document itself. However, it must not be confused with an introduction. The goal of an executive summary is to present the major details of your document; however, it is still important to not bore them with the facts. 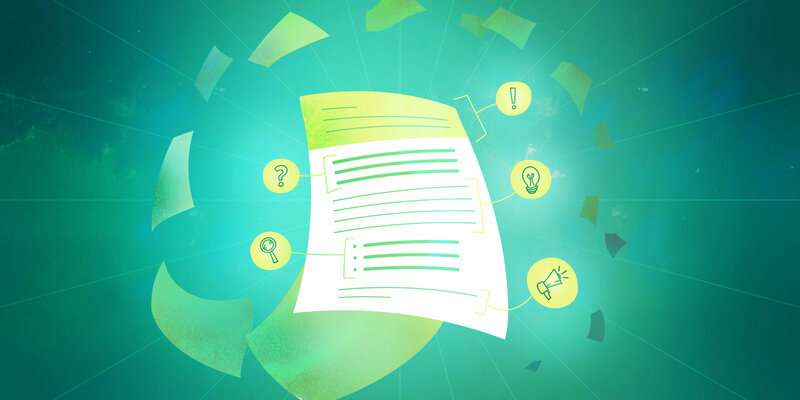 Your executive summary should only acts as a highlight reel for your document. It should be able to grab your reader’s attention and make your purpose be known. It is also a good place for you to state objectives and goals. Business description – It should be immediately addressed what the business does and the types of products and services it offers. It should also make it clear who the target market is and what problem/s does the company’s offerings address. History – It is important that a brief history about how the business started, by whom, what their backgrounds and roles are, where it is located, and where the business stands is shared within the executive summary. Achievements – The executive summary is basically focused on presenting the highlights, include the business’s revenue growth rate, customer growth rate, and any relevant milestones that best represent the company’s rising success. Product or service description – It should go into more detail regarding the products and/or services the company offers, how they serve a need, what their competitive advantage is, and why demand is growing for them. However, it must be thoroughly presented in one or two paragraphs only. Financial overview – This section is critical if the business plan is used to solicit financing. A rundown on how much money and how much will be used should come along with top line projections. Future plans – The executive summary should also be able to address the following questions about your future plans: Where is the business headed? What expansion plans exist? What will it look like in 3–5 years? Paragraph One: Provide an overview of your business. The first paragraph of your executive summary should provide the readers a quick overview on what your business is about, what you do, what products and/or services you provide, what problems you’re trying to solve, where it is located, and so on. This will let you keep your audience to follow through what you are about to discuss in your document. You can also include relevant highlights about your company’s success as well as insights to the industry you belong to. Paragraph Two: Discuss target market, competition, and marketing strategy. The second paragraph of your executive summary must describe the target market you aim to entice as well as the problems you wish to address. After this, you can present an outline of the competitive landscape of your industry, and the advantage that your particular business possesses. This will help get your reader’s interest especially when you are aiming to get some financing aid for your business. Lastly, include a summary of the three main marketing strategy you will employ in order to attract your target market’s interest. Paragraph Three: Provide an overview of operational highlights. Operational highlights basically relates to your business operations. The third paragraph of your executive summary should provide a summary of your operational highlights such as where your company offices will be located, whether or not you will incorporate or remain a sole proprietor, or whether you will serve as a brick and mortar or online business. This means that you need to give an insight as to how you’ll go about your business. In this paragraph, you should be able to present a sales forecasting projections one or two years after your business plan is implemented. It should be able to present how your business will likely to succeed with what is reflected in your business plan. You need to calculate your break even point so that your readers can be informed when you project to turn a profit. Paragraph 5: Detail your investment needs. If the aim of your document is to acquire business financing, this is the part of the executive summary where you go into detail about the investment needs of your business. The numbers/amount you present in this paragraph should be clear, and should align with your projections from the previous paragraph. What is this about? Provide a brief explanation. Why is it necessary and important? [or] Why was there a need undertake it? What are the major findings or results? What more can be or should be done? [or] How should these findings be applied? Briefly, what is this about? What do you propose or recommend? Why do you propose it? It is important to note that the executive summary should be written after the entirety of your document has been written. That way it can effectively represent what has been discussed in the document without leaving out and adding other information. Remember that some of your readers may refer to your executive summary since it is basically an overview of your document; therefore, it must be written well, cohesively and effectively.